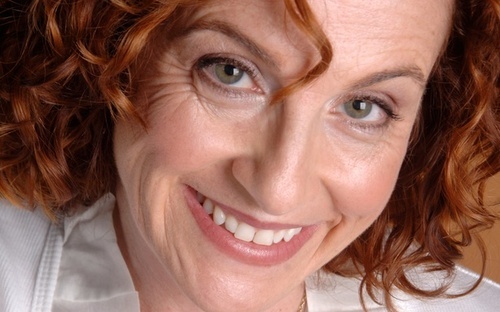 See the gallery for quotes by Ayelet Waldman. You can to use those 7 images of quotes as a desktop wallpapers. How many straight men maintain inappropriately intimate relationships with their mothers? How many shop with them? I want a gay son. People laugh, but they assume I'm kidding. I'm not. I certainly don't think it's inevitable that we don't love children who don't carry our own DNA. If that were true we wouldn't have millions of successful adoptions to consider. I do think that it's harder to love a child when you come into that child's life after the unrequited passion of infancy and early childhood has passed. I love the novel of 'The English Patient'; I think it's a profoundly beautiful novel. I love the movie of 'The English Patient'; I think it's a profoundly beautiful movie. And they're totally different. You accept each on its own terms, and that's kind of the ideal. 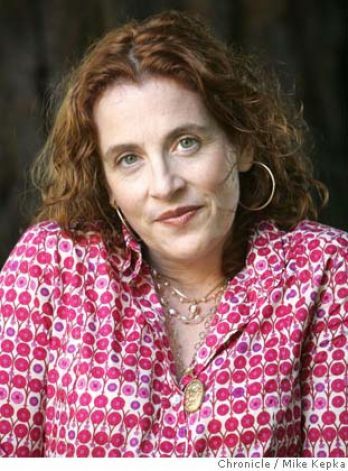 Much more quotes by Ayelet Waldman below the page. I tell myself that after four children my belly is already so stretched and flabby that I have to do origami to get my pants buttoned. One more pregnancy and I'd be doomed to elastic waists for the rest of my life. I used to refer to myself as a 'theoretical anorexic,' just as crazy when it came to body image, but saved by a lack of self-discipline. My daughters do everything better than I do - they're smarter, more beautiful, happier. What if they end up better at anorexia, too? I've sometimes thought that it's only by recalling that desperate devotion my kids once felt for me that I can maintain my own desperate devotion in the face of their adolescent sneering. My kids are incredibly secure. More and more of their friends' parents are divorcing, but my kids have absolute confidence that we'll stay together forever. That goes a long, long way. My own husband was divorced when we met, but without kids. I don't know what I would have done if he'd had them. I got the message very early on that the worst mistake a woman can make is marrying a man with children. The biggest challenge for any craft person or artist is to accept the constraints of their medium and make something beautiful despite them. That's kind of fun, actually. The stereotypical gay man is someone whose company I enjoy, someone who makes me laugh, someone I'd want my kid to be. The stereotypical gay woman makes me insecure, conscious of my failings as a feminist. The thing is, my fantasies about being a parent always involved fighting for my unpopular child, doing for her what my own parents couldn't do for me when I was a girl. I am so ready to be that little girl's mother. When my first daughter was born, my husband held her in his hands and said, 'My God, she's so beautiful.' I unwrapped the baby from her blankets. She was average size, with long thin fingers and a random assortment of toes. Her eyes were close set, and she had her father's hooked nose. It looked better on him. Where would the memoir be without bipolar writers? I mean, that's what - that whole oversharing thing is really a very clear symptom of bipolar disorder. And I'm not saying that every, you know, I'm not accusing every memoirist of being bipolar. But I think in a way it's kind of a gift. Yes, I have four children. Four children with whom I spend a good part of every day: bathing them, combing their hair, sitting with them while they do their homework, holding them while they weep their tragic tears. But I'm not in love with any of them. I am in love with my husband. You can take the babushka off the Jewish mother and dress her up in a pair of Seven jeans and Marc Jacobs sling-backs, but she's still going to expect a passel of grandkids. Perhaps my children will one day pledge their loyalty to the Republican Party. Or perhaps they'll dismiss my liberalism as mild pap, and become anarchists. Either way may well be a reaction to my manipulation, my values. We are all the product of the indoctrination we received at the hands of our parents, even when we are repudiating that ideology. I love reader mail, and I do read it, but I won't read hate mail. In a perfect world, probably we'd never yell, we'd just be firm and dispassionate. But of course, everyone yells at their children. My new novel 'Red Hook Road' began many years ago as a short article in the newspaper. You know, I feel like my job is to write a book. Then filmmakers come and they make a movie. And they're two really different art forms. It's hard to separate your remembered childhood and its emotional legacy from the childhoods that are being lived out in your house, by your children. If you're lucky, your kids will help you make that distinction. I don't want to be one of those guys that you see who made $4 million, invested $3.5 million, and now you work at Wendy's. I go out, but not too much. When I'm on tour, I just write a lot of music and sleep. In terms of 'Seinfeld', I think there's lot of reality in a show that's supposed to be about nothing. Everything's pretty consistent in the industry, you know. There's a couple of naysayers, whatever, people who don't agree. But for the most part a lot of people believe in the new class of MC's that coming to the game. Hip-hop is all about impact, baby. You can sell records, you can be two-times platinum, you can be gold... but if you lame, you lame, man. We try to provide the exact opposite of that. It's style, individuality, confidence. We exude that. I'm at like 325 pairs right now, give or take. But I've given away about 200 pairs of sneakers. I'm not as big of a collector as I used to be, because I think the game just got weird. Everybody likes to collect now, so it's kind of corny. But I got the essentials. Mix-tapes are something that have been going on for a while. They've been pretty important to hip-hop for the past 10 years. It's the way we advertise our music to the public for free. The Web is the new way to figure out who's hot and what's not. You can't let TV dictate because it's so polished, so political. It is what they want you to know. The Internet is the raw.